A) Total War: ROME II – Empire Divided is a campaign pack DLC that focusses on the crisis of the 3rd century. The year is 270 AD. A string of inept emperors and usurpers vying for power has led the Roman Empire into near-total economic collapse. This is its gravest crisis yet. Q) What new content comes with Total War: ROME II – Empire Divided? A) Total War: ROME II – Empire Divided brings a brand new grand-scale Campaign Pack to Total War: ROME II with brand new campaign features such as cults, banditry and plagues. Ten different playable factions across five cultures including new heroic factions with elaborate victory conditions, custom event chains and famous leaders from the era. New period specific events, dilemmas, missions, restructured technologies and unique new buildings. Q) In descriptions of Total War: ROME II – Empire Divided, some factions are classed as ‘heroic’. What does that mean? A) Heroic factions in Total War: ROME II – Empire Divided will have different win conditions and specific event-chains that explore the stories of those leaders from history. These narrative focussed campaigns will also have specific tech trees built around those characters and you will also be able to recruit specific units for them as well. On top of all of this, these characters will not die in battle and will only be reduced to the wounded state. These create rich, narratively focussed campaigns to build your empires around. 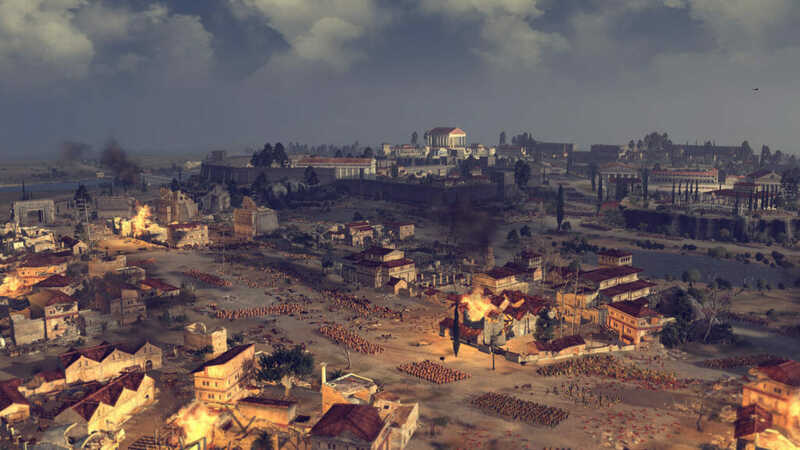 Q) When will Total War: Rome II – Empire Divided release? Q) It’s been four years since Total War: ROME II was released. Why release content now? A) We want to support our historical fans with some content for what is arguably our most popular historical title to date with hundreds of thousands of players still actively playing every month. Not only is Total War: ROME II worth expanding with incredibly interesting periods we’ve not yet covered, like the crisis of the 3rd century, it’s also a perfect opportunity for us to go back and address some of the areas we felt we could still improve, like we have with the Power and Politics update. Q) What is the Power & Politics Update? A) The Power & Politics Update is a large piece of Free-LC content that completely overhauls the politics system and adds a variety of new political actions for your campaign to give a far greater meaning to how you deal with other politics parties and government types. Your party can gain influence and political support by completing missions and winning victories on the battle field. The re-worked political system will allow the player to exercise direct impact on the campaign gameplay through their political actions. Q) Will the Power & Politics Update apply to DLC? A) Yes, the Power & Politics update will apply to the base game of Total War: ROME II, and all DLC except for Caesar in Gaul as that DLC has its own political system as part of that content. Q) Why are you doing a public beta of the Power & Politics Update? A) As this update applies to the base game of Total War: ROME II and the vast majority of our DLC, we thought it was important to broaden our testing just in case we discover any big issues with certain iterations of hardware. 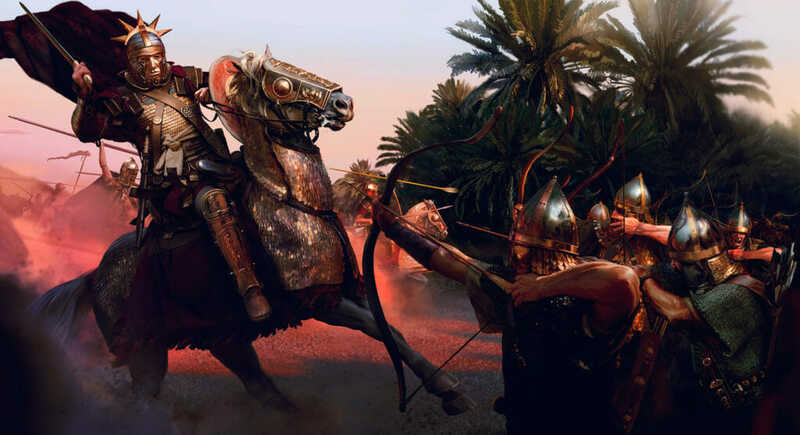 That way we can aim to address any issues before the patch goes fully live on the 30th along with the Total War: ROME II – Empire Divided content. Q) When will the Power & Politics update release? A) The Power & Politics update will be available to play in public beta today. The full release will be on Thursday 30th November alongside Total War: ROME II – Empire Divided. Q) I’m a modder, will the Power & Politics update break all my mods? A) Yes… yes it probably will. But fear not. If you’d rather not break your current save game and give the mod creators a chance to upgrade, then you can opt into the PATCH_17 beta that is the old version of the game without the Power & Politics. More details are available below. Q) Is the Power & Politics update available in all languages? A) Yes for all supported Total War: ROME II languages on full release, but the Power & Politics beta will only be in English for the 1st We expect localised versions will be available after the first week or so of the public beta starting. Q) How do I opt into the Power & Politics Update beta? A) The instructions on how to opt in will be below the FAQ. Q) If you have Total War: ROME II on Mac, will you be able to purchase Total War: ROME II – Empire Divided? A) Unfortunately not at this time; owners of Total War: ROME II on Mac will not be able to purchase Total War: ROME II – Empire Divided. Q) Can I download the Power & Politics update if I have purchased Total War: Rome II on Mac? Q) Will you bring Total War: ROME II – Empire Divided or the Power & Politics update to Mac in the future? A) Unfortunately we have no plans to bring new Total War: ROME II content to Mac for the time being. Q) Is there anything I need to do as a Mac user to keep my game working? Your game will work as normal after Total War: ROME II – Empire Divided releases, however due to the way the Mac version works, it will require most of the data to be re-downloaded as we are de-linking the two platforms. If you have Total War: ROME II currently installed, you can avoid this by opting into the PATCH_17 beta which will keep your game as it currently is. For anyone re-downloading the game, or purchasing for the first time there will be no noticeable difference and you will just download the game as normal. To allow the player to exercise direct impact on the campaign gameplay through the political system. To allow for well-defined civil wars through the new loyalty statistic and party areas of influence. To add variety in gameplay for different factions and/or government types. Each political party in your empire will have two main properties – influence and loyalty. Influence is carried over from the old system and loyalty shows how satisfied they are with the ruling party. Loyalty will increase or decrease as a direct result from political or campaign actions. Low loyalty for any party will result in a chance for a secession or civil war. New parties may spawn within your political system, based on your imperium level and government type. A new edict has been added to the game, available to all cultures: Party Loyalty – provides +10 loyalty to the political party controlling the province. Each political party in your empire will control a number of provinces, depending on their influence. The more influence a party has, the more provinces it will control. The exact provinces under the control of each party are automatically assigned by an algorithm that tries to keep all its territories close together. In case of a secession or civil war, the new faction that spawns will control the provinces that were included in the areas of influence of the seceding parties. The party areas of influence can be seen from the new filter available in the map screen in the campaign UI. Political parties have traits that modify the way they gain or lose loyalty. Each party has two traits. Each political party now has a leader. The leader has one additional trait that acts like a party trait. Therefore, there are three traits in total that affect a party’s loyalty (2 built in the party and 1 more from the leader). All political characters now have an additional political trait that would take effect only if they became the leader of their party. You can still see the political traits of characters that are not members of the ruling party, so you can plan how to develop them. There are 4 possible government types: Kingdom, League (Union for Barbarian factions), Republic, and Empire, each of them providing different bonuses and penalties (public order, number of edicts, etc.). The Empire archetype provides slightly better bonuses than the other 3, and it is generally the goal of the player to reach that government type, although reforms can be made between all government types at any time. Each faction can reform their government type at the cost of money and several turns of instability. Reforming a government is done from the Government Overview section in the Politics or Summary tab in the Faction screen. The Empire government type is available to all cultures; however, the other 3 types are available only to some cultures. For example, barbarians can only reform between Empire, Kingdom and Union (no Republic). The faction leader is now excluded from the Cursus Honorum system (Secure Promotion). Instead, he now has a unique trait that depends on the player’s government type. Parties with low loyalty have a chance to start a secession. In case of secession, the territories under the area of influence of the party break off from your empire, creating a new faction in a war with you. Secessions may turn into civil wars, where all parties join either on your side or on the side of the separatists. Parties that start a secession or civil war are removed from your political system. There are a number of new political actions that can be done from the Characters tab in the Faction screen in the UI. Some of them now have direct effect on the campaign gameplay and utilize the previously underused statesmen (political characters that are not currently commanding an army). There are a few new actions that can be taken against entire parties. They are available from the Politics tab in the Faction screen in the UI. Some of the old political actions have been rebalanced. For example, Secure Promotion can now be used on characters from the non-ruling party as well, as a way to increase their party loyalty. The Factions screen now remembers the last tab opened by the user and it is automatically selected the next time the Factions screen is opened. Actions taken from the Characters or Politics tab in the Faction screen no longer close the Faction screen, so players can continue performing political actions without having to reopen it. The Records and Statistics tabs have been combined into a single tab. The Character tab in the Faction screen received an overhaul and a “Hire Statesman” option has been added so players can now recruit statesmen directly. An “Open Character Profile” link has been added to the Character portrait on the campaign map that leads to the Character tab, with the character selected. Similarly, a link on the character portrait in its profile leads to the general on the campaign map. Support for 4K resolution has been added to the game. UI scaling is now supported. The web encyclopaedia has been replaced by in-game unit and building information screens. General and agent skills are now seen in a tree view. A Campaign filter has been added to the multiplayer/custom battles. Players can now use playable factions from all campaigns in custom and multiplayer battles. Increased the Grand Campaign maximum camera zoom height. Added an indicator for active edicts in the province list. Reduced the number of senators gained or lost from subject dilemmas. Fixed effects given to some damaged buildings that were more beneficial than the undamaged ones. Fixed several issues with starting positions of characters and armies in legacy campaigns. Fixed bonuses from iron and lumber settlements to match their description. Fixed buildings that unlocked certain units at lower levels but didn’t allow them at higher levels. Fixed mercenary and auxiliary units that were missing abilities enabled for the original units or had vastly different statistics from the original units. Fixed unit cards for several units to represent their actual mass. Fixed several units that had incorrect action points or vision range for their type. Fixed buildings that provided less garrison units after being upgraded. Fixed several general skills and army traditions that were providing wrong bonuses. Fixed the time windows during which several historical characters would appear to better match their real birth and death dates. Decreased the effectiveness of the Poison Wells and Poison Provisions spy actions. Changed the effects of grain settlements. They now provide food to regions in their current province and adjacent provinces instead of faction-wide. Fixed a problem with an unnamed army in the Hannibal at the Gates campaign. Corrected various grammar and spelling issues in the UI. Changed the colour of several effect icons to indicate whether they provide positive or negative effects. Changed the conditions for the “Hold Your Ground!” achievement. To achieve it, the player needs to successfully defend an encampment without losing more than 10% of their starting force. Fixed a problem that resulted in duplicate mercenaries being available in some regions in the Hannibal at the Gates campaign. Disbanding an army no longer wounds agents attached to armies. Players can no longer exceed their agent cap by manipulating enemy agents. The Historical Battles of Alesia and Carthago have been rebalanced. Several issues that were causing crashes have been fixed. Fixed several effects that provided incorrect bonuses (melee defence, melee attack, shots per minute, and range). Fixed an issue that was causing incorrect loading screens to be displayed. Fixed a problem that prevented several factions in the Grand Campaign and Hannibal at the Gates from having a civil war.